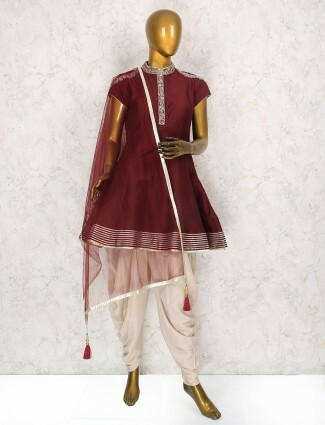 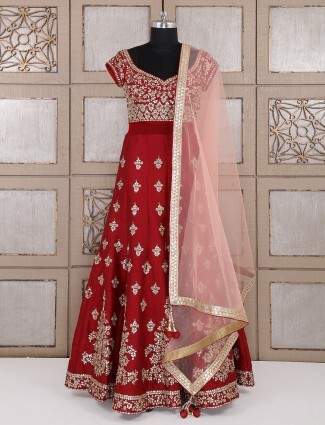 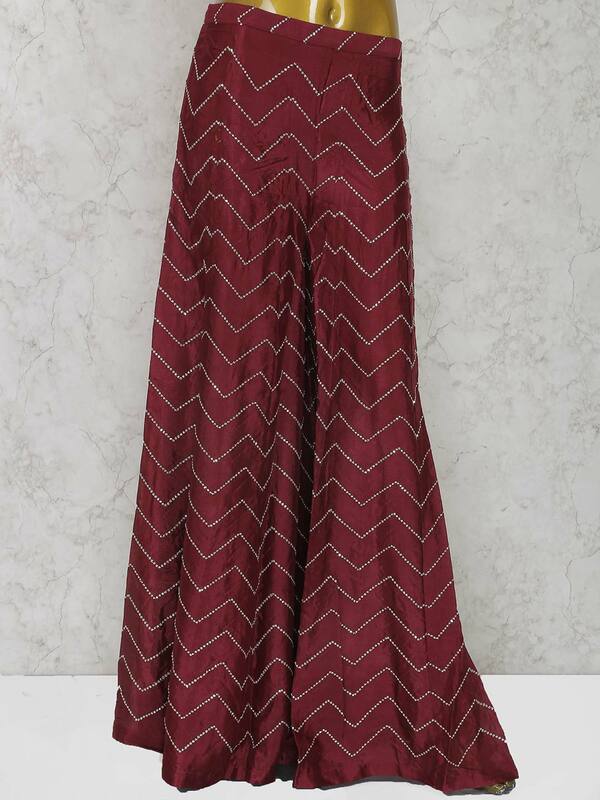 Be your own style icon with this captivating maroon colored wedding wear designer punjabi sharara suit. 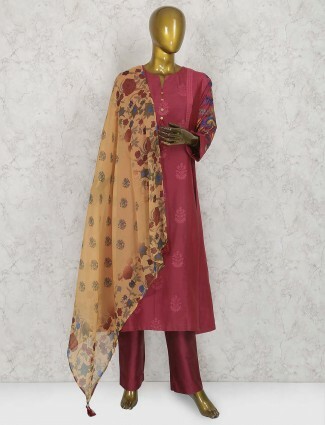 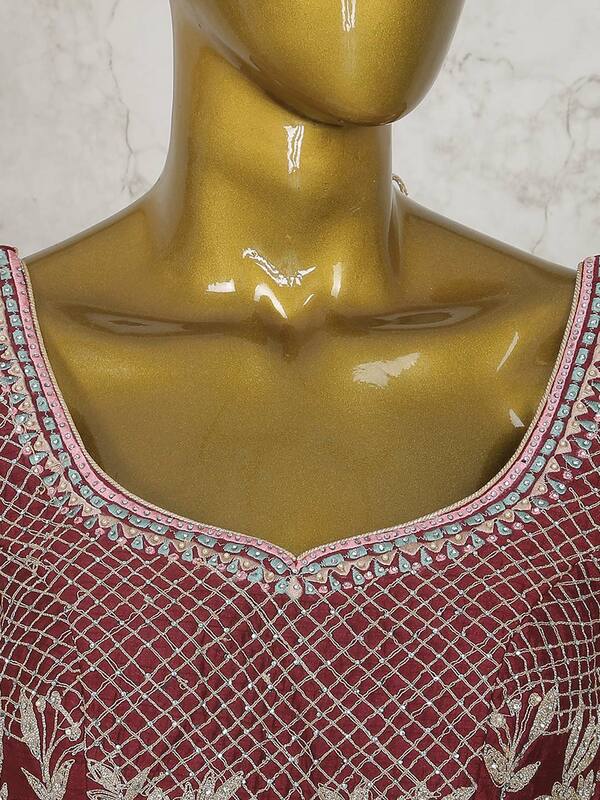 Embellished with thread,pearl and zari work at over all. 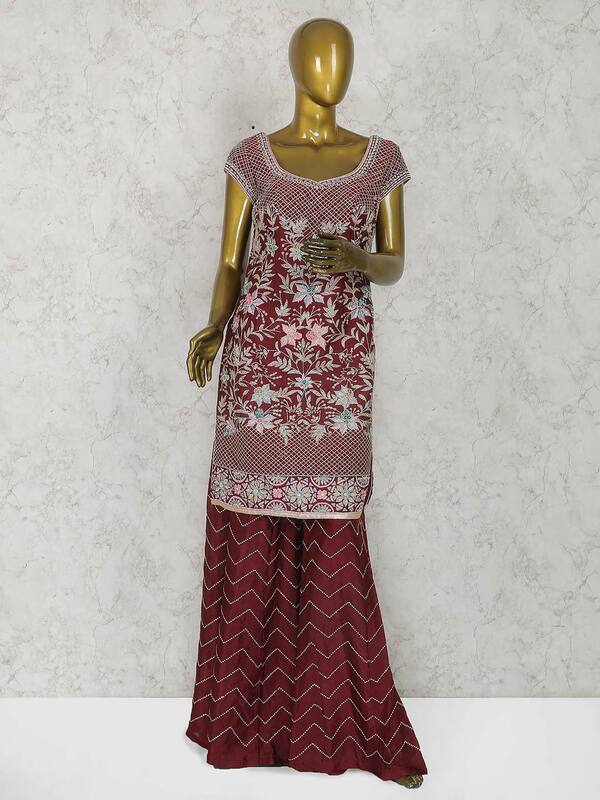 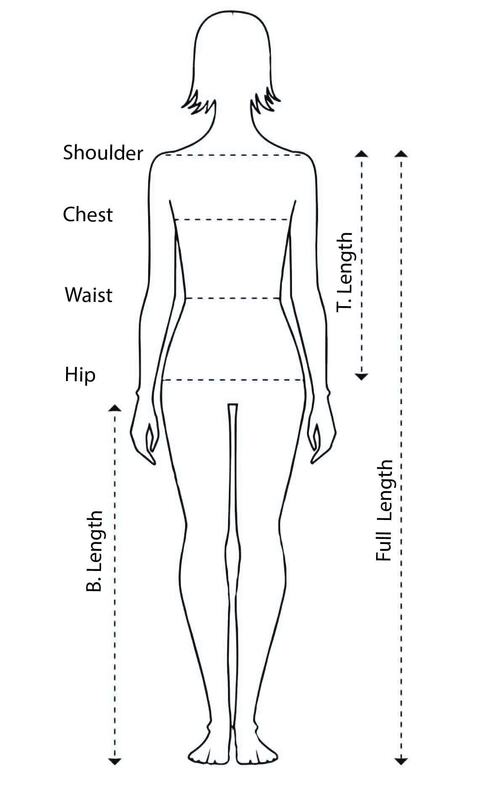 Comes with bottom and dupatta.